This is a question that for many may seem obvious: we all expect that hand-cut ham will be superior to the machine-cut article. That's especially so if we're devotees of Iberico ham. But why is that the case? 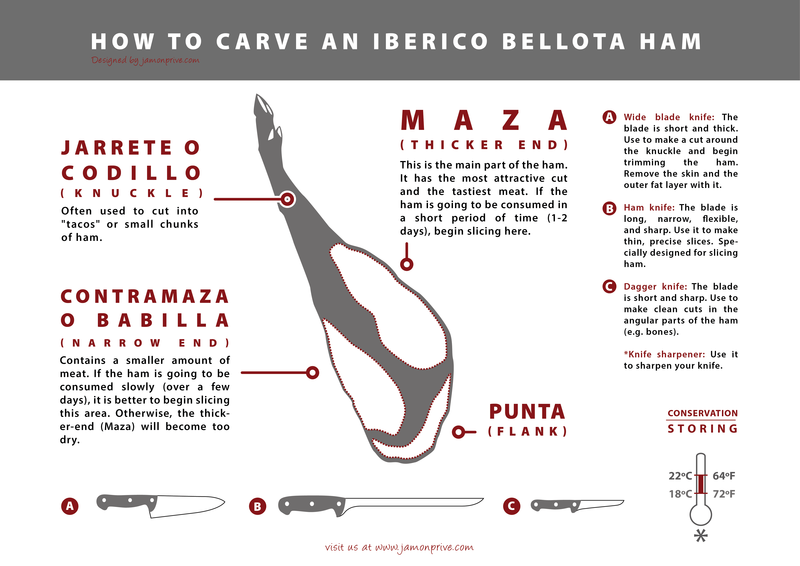 Spanish ham: Hand-Cut or Machine-Cut? The six million dollar question: the truth is actually that many people prefer Spanish ham that has been cut by machine, because it easier and faster to consume. However, if you're looking to fully exploit the culinary qualities of Spanish ham it's best to cut it yourself or buy hand-cut ham. The price is slightly higher, but it's well worth it. Many experts say that hand-cut ham retains its organoleptic properties better than machine-cut. But they also point out that there's an aesthetic quality to the way the Spanish ham is cut, and that to watch a master ham cutter gives you some insight into this and is a pleasure in itself besides. You yourself can develop enough expertise to successfully cut your own Spanish ham by hand, though be warned: it does require practice! The biggest problem with machine cutting is that it generates friction and heats the cutting surface, which in turn heats the Spanish ham. This affects the taste and does not differentiate between the various different parts of a ham slice. 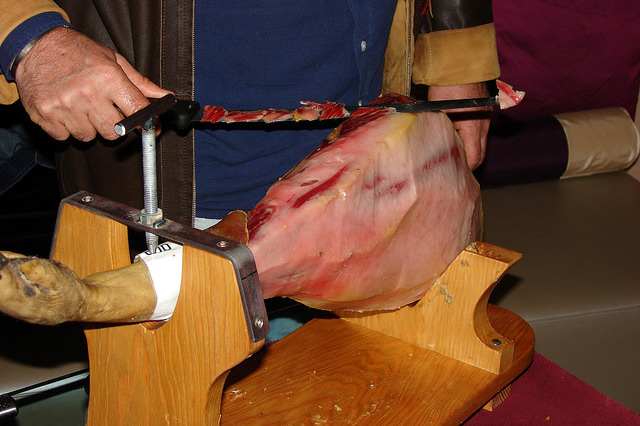 The heating of the ham via the hot blade can affect the nutritional qualities of the Spanish ham also. A good hand-cut ham is sliced in a firm yet gentle way, by sliding the balde across the Spanish ham to produce thin and exquisite slices. 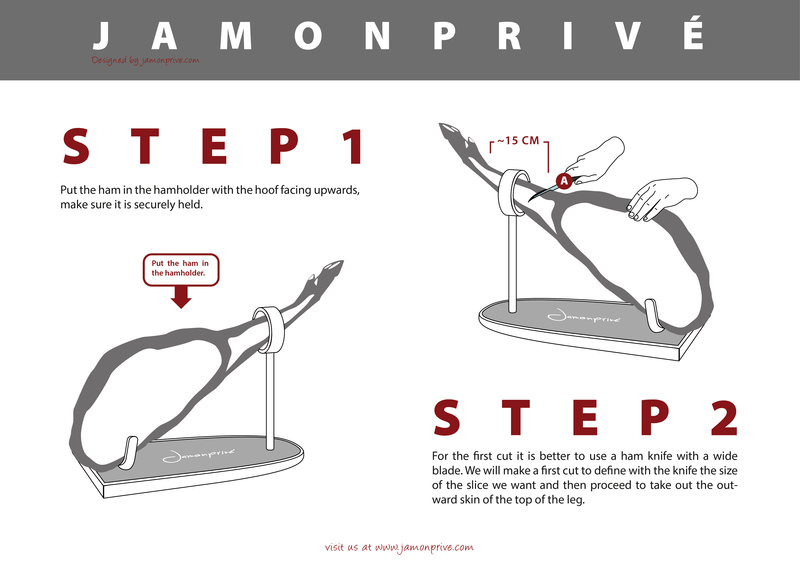 This is undoubtedly one of the great secrets of the world of ham, and if you've ever had the chance to try it you'll know it's true: you notice the difference when Spanish ham has been cut by a specialist. When it melts in your mouth, when the flavors are drawn out and intense., you know you have a master ham cutter to thank. 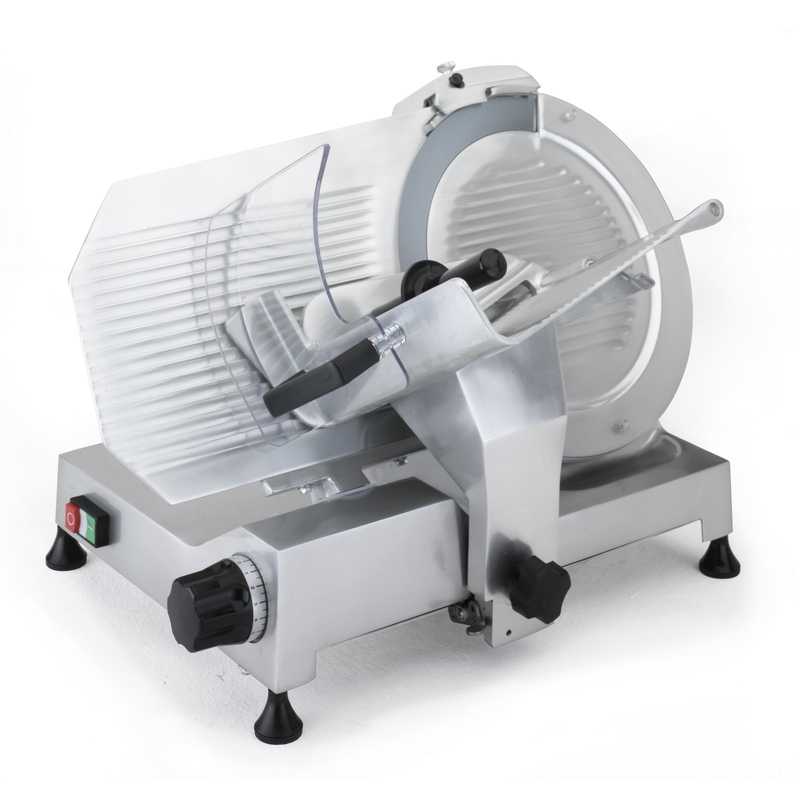 The truth is that there are many high-quality cutting machines that are capable of cross-cutting ham, respecting the natural path of the muscle fibers and resulting in a superior product - for a machine-cut slice, anyway. Many even say that the heat generated not only doesn't adversely affect the Spanish ham, but actually enhances it. Clearly, personal opinion is the most important factor here. Remember that the presentation and the company make the Spanish ham more attractive, too, and cutting ham by hand makes for a ritual that can make it feel better even if it doesn't technically taste better. And let's not forget that the most important thing isn't hand-cut ham: it's great ham. A 100% Iberico ham from a respected producer is your real guarantee of success.